Since 2003, Oakton Crew has been fielding highly competitive women's and men's teams in local, state, and national competitions. 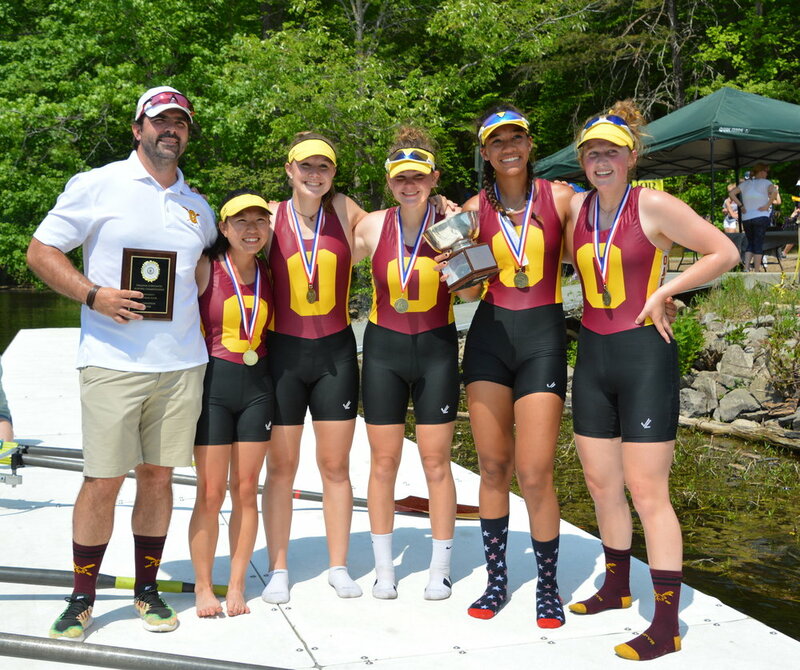 Our athletes, coaches, and families are dedicated to the highest standards of sportsmanship and academics, and our teams have found success in state and national championship regattas, in the classrooms of Oakton High School, and in collegiate and continuing rowing endeavors throughout the United States and abroad. Find out more about our Crew family, and what it takes to become part of Oakton Crew. Teammates who wish to get started on their donor requests should review the information on our FUNDRAISING page, and good luck! TEAM SHIRTS ON SALE UNTIL THURSDAY!! ALL PARENTS & Teammates WELCOME!! 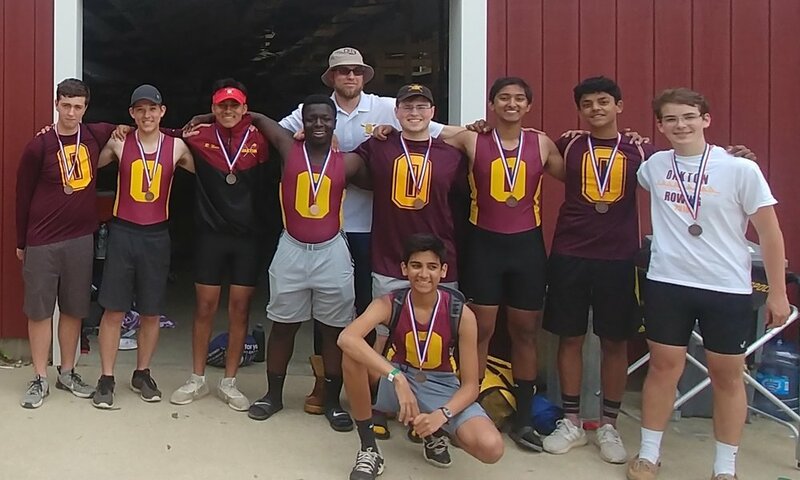 Oakton Crew closed out the 2018 Occoquan regatta season with very strong showings at the Virginia Scholastic Rowing Championships. Many boats made it through to finals, and the Women's JR-4 rowed home with Gold, the Women's LT-4 took Silver, and the Men's 3-8 won Bronze. The Men's 1-8 qualified for Nationals, and the entire team showed great improvement over the course of the season! Women's JR-4 - State Champions! Women's LT-4 - Silver Medalists! Men's 3-8 - Bronze Medalists! WOMEN'S JR-4 - National Champions! 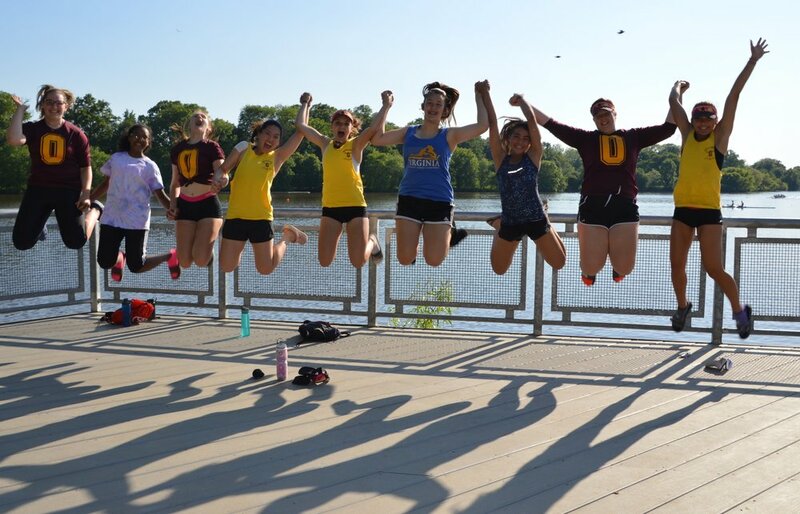 Seven Oakton boats competed in the Stotesbury Cup Regatta on May 18th & 19th, with many outperforming anticipated results and rankings during time trials. The Women's Lightweight 4 turned in a blistering third-fastest result overall in time trials, and the Women's JR-4 placed second, with both boats making semi-finals. The LT-4 battled in a tough heat, missing finals by .08 seconds, and the JR-4 went on to place fourth overall against the top boats from the U.S. & Canada. Based on performance at State Championships, four boats qualified for the SRAA National Regatta on May 25th & 26th, and again our athletes raced hard and gave their best for Oakton Crew and their boatmates. 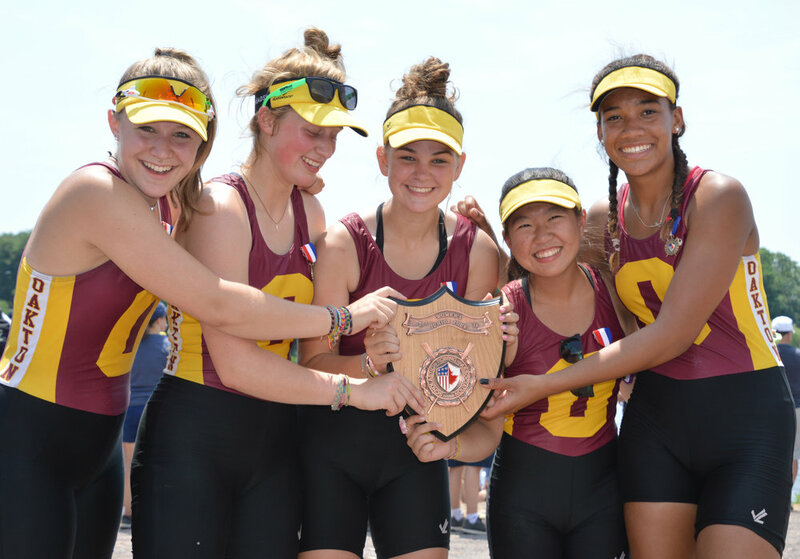 Each boat held their own against the top competition in the country, and the Women's JR-4 brought home Gold, the first National Championship for an Oakton boat. Drawing from the support & assistance of our current teammates, and building on the strength & successes of prior Oakton Crew teams, the results for our Women's JR-8 & LT-4, and the Men's 1-8, all combined with the win for the JR-4 for a huge boost to Oakton Crew. The entire team's successes this year, from Freshman level to the Varsity 8s, propel us forward as a force to be reckoned with at the state & national level. WOMEN'S JR-8 at NATIONALS - WHAT A YEAR! !